Volume 16 of the Tom Swift series, finds our hero inventing the world's largest, and of course best, cannon for Uncle Sam, able to destroy a target at a distance of over 30 miles. 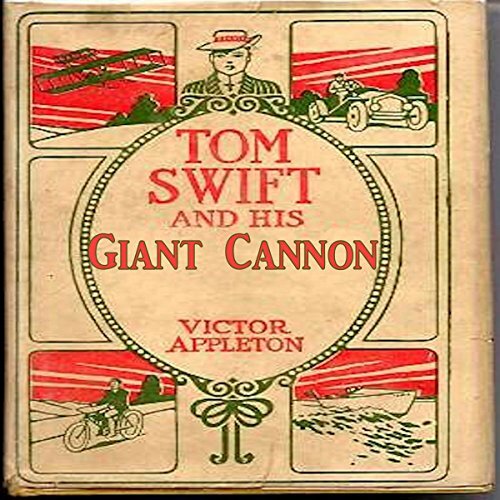 Not only does Tom Swift engineer this large cannon, but he also invents the propellant. Take-charge type of guy that he is, generals and villains are no match for him, not to mention his faithful giant Koku who nearly single-handedly ties down the 30-ton loose cannon on the deck of a pitching warship. Of course Tom Swift's friends Mr. Damon, Eradicate Sampson, and Ned Newton are also there to lend a hand and encouragement.